As a professional angling for a top-level executive position in the healthcare industry, you’ve got a hard choice to make about what type of advanced degree to pursue to help you scale those career cliffs ahead. A specialized master of healthcare administration degree has been the preferred route in recent years, one that acknowledges that the unique and dynamic landscape of American healthcare operations requires some specialized know-how. But that landscape is dominated by traditional principles of business and capitalism as well. Healthcare is a $3 trillion industry in the United States, 18 percent of the gross domestic product and the largest segment of healthcare services in the entire world. If that’s not big business, nothing is! And big business is the province of graduates with master’s degrees in business administration. Mixing the high-level expertise of business management and operations with industry-specific education in healthcare services and management, an MBA with a concentration in healthcare is becoming a popular option for hard-charging healthcare executives. You just have to pick the right one. Which MBA Healthcare Concentration Is The Right One? There are more than a thousand MBA programs in the United States, though, and healthcare administration is one of the most common concentrations. How do you choose the right program for you? You start with accreditation. Every serious university in the United States is accredited by a regional or national accreditor recognized by the Council for Higher Education Accreditation (CHEA) or the U.S. Department of Education (USDE). But something a lot of people don’t know is that CHEA, the USDE, and even organizations like the International Organization for Standardization (ISO) also recognize a number of specialty accrediting bodies, organizations that have particular expertise in the subject matter being taught… like business… and healthcare… and healthcare administration. We made sure that each program on our list is validated by at least one of those accreditation agencies, ensuring that they meet higher, and more business-specific, standards for faculty recruitment, curriculum development, and admissions requirements than other schools. Although we didn’t use it as a filter, we also looked for ACEN (Accreditation Commission for Education in Nursing), CCNE (Commission on Collegiate Nursing Education), LCME (Liaison Committee on Medical Education, or COCA (Commission on Osteopathic College Accreditation) accreditation in any medical or nursing school partner programs that might be involved in the concentration. We also gave additional consideration to programs that have received the stamp of approval from CAHME (Commission on Accreditation of Healthcare Management Education), the organization dedicated exclusively to establishing the highest quality standards in healthcare management degrees. Since business is our bag, and MBAs are what we’re looking at specifically, we didn’t make CAHME accreditation a requirement for making the list, but we did give it some weight. The combination of accreditations lets you know that you are getting an education that absolutely meets current industry standards that businesses have come to expect. We didn’t draw the line at accreditation, though. Instead, we went a lot deeper into each of the programs to pull out only those with other noteworthy distinctions and special value to prospective students. Because healthcare is so specialized, there are many schools that offer healthcare MBAs that are far more intensively focused than their other concentrations. We preferred these programs, which go further than just offering up three specialization courses that get tacked onto the general MBA track. Instead, they often offer the same courses in accounting, marketing, operations, and strategy as the core MBA curriculum, but present each of them very specifically in the context of the healthcare system. We also looked hardest at business schools that also offered the concentration in cooperation with medical or nursing schools at the same college. There’s no substitute for practical, real-world medical management experience in these programs, and proximity to a teaching hospital ensures that students get exactly that. Beyond that, we picked programs with a sterling reputation in the community, the ones that routinely show up in top lists of graduate schools from the Princeton Review or U.S. News & World Report. We also kept an eye out for the little extras, those features that really give a boost to your MBA experience or offer credentials that will make your resume pop when it hits an employer’s desk. Whether it’s sponsored conference attendance at healthcare symposia or a well-developed alumni network that will give you contacts throughout the industry to draw on, we pulled out those programs that come with a little something extra to give you more value for your time and money. Then we wrapped it all up here, putting it together with information on admission requirements and the highlights we know every would-be MBA needs, and dropped in a link so you can check it out yourself. Go click on a few. You won’t be disappointed. UCI offered a dedicated health care MBA program but, in consultation with the local health care community temporarily closed admissions. But that doesn’t mean you can’t take care of all the faculty and program expertise that was developed for that dedicated program by taking the health care management & policy specialization. You’ll also benefit from a cadre of professors drawn from top scholars who regularly consult with Fortune 500 companies and advise global businesses. That means a lot of real-world experience to pass along. You also get access to a broad array of electives in health care subjects including health care entrepreneurship and understanding managed care. The residential experience option has included an immersive experience in federal health care policy in Washington D.C., where you have an opportunity to see the regulations being formulated and discuss topics at the center of U.S. Federal power. The UC Denver MBA in Health Administration doesn’t beat around the bushes when it comes to identifying the major challenges facing health care administration professionals in today’s world: job one for faculty is helping students make sense of the enormously complex American healthcare system. Fortunately, this is a task they have mastered, with real-world experience and insight from a very large advisory board of working healthcare professionals. Students also participate in a one-year administrative residency at regional health care providers, where they receive on-the-job experience as well as feedback on both their medical and business performance. With three sub-specialty tracks that focus even further into the intricacies of health care service delivery, there’s no question you will be able to find a course of study at UC Denver to prepare you for any executive position in any health care organization in the country… or the world. The UDEL MBA in healthcare management goes a cut above the average concentration option (although you can get that, too!) as an MBA major: the program is intimately wrapped around the concerns and concepts of the American healthcare system. Although you will still study the basic business elements of accounting, finance, marketing, and strategy, the major sets you up to look at all of those areas of business from the unique angle of healthcare services. Building on that basic understanding, you’ll have the option to take on even more specialized courses in population health informatics, e-service management, and patient experience and engagement to give you a well-rounded perspective as a future healthcare executive. The FSC healthcare management certification option with their MBA program offers the leadership and technical skills that executives need to get a handle on the constantly changing American healthcare system. Co-taught by the Florida Southern School of Nursing faculty, you’re not getting healthcare lite in this program—you will get current best practices from experts in the field. Just outside of 16 months you are looking at getting out into the field yourself, with a degree in hand that will get your resume noticed no matter where you apply. The fact that Mercer University has a strong dose of healthcare expertise is easy to divine from the fact that of the four dual degree option they offer with their online MBA program, two are in healthcare fields. For health administration-bound executives who aren’t in pharmacy or PT, however, the healthcare concentration to the MBA offers all the same elements of business expertise together with all the up-to-date medical industry education you need to keep up with that rapidly evolving field. Small class sizes and personalized attention from distinguished faculty help ensure that you nail all the concepts cold—no Mercer student is left behind. A quality advising staff extends that same personal service through the program and after graduation to ensure you land the job of your dreams. A healthcare administration concentration is the only specialty that South University offers to their MBA program, and it’s not so much a specialization as a completely specialized degree… you will be immersed in healthcare administration topics from top to bottom, even as you learn the same essential elements of business that make up any competent MBA course of study. That means you get the same top-level instruction in economics, ethics, organizational behavior, and strategic marketing that any senior executive needs to have, but you will learn about all of those subjects in the special context of American healthcare. The laws, regulations, and governance requirements that are unique to healthcare are baked into your courses, offering an immersive educational experience that will set you up for immediate entry into upper management in any healthcare organization. The health care management track in the executive MBA at the University of Hawaii makes life easy for healthcare professionals who are seeking to build their business knowledge and leadership skills while still meeting all their existing professional obligations. As the only specialty track available in the program, health care gets most of the focus alongside traditional managerial skills in accounting, finance, marketing, and analytics. You’ll get unique insight into the transformational changes occurring in the health care sector from professors who have both academic and executive experience in the field. To foster a sense of community, all Executive MBA students at the Shidler College of Business meet on campus in late August for the annual Residence Weekend to begin their courses, meet fellow students and faculty, and even connect with professionals from Hawai’i’s top companies and government agencies. Ball State’s healthcare MBA concentration goes way beyond the usual icing of healthcare-oriented introductory classes that many programs pass off as a serious degree. The faculty here go deep into the economic realities of the American healthcare system as it exists today, covering aspects of it from every viewpoint—patients, providers, and suppliers. That’s all vital information for you to consider as a healthcare executive, as is the general business education you’ll get here. Analytical and leadership skills are paired tightly with the finance and information technology training that every modern business executive needs. There’s no better place to get the full package than at Ball State. Drake provides insights into the constantly evolving world of American healthcare services with a set of courses covering healthcare policy, administration, ethics, law, and advocacy. Powered by the program’s technology-centric and data-driven philosophy, these courses will equip you to take your place among the future healthcare leaders in one of the largest sectors of the American economy. Drake also works to put you in touch with current executives through relationship with outside business executives and successful Drake alumni. MNU’s MBA in healthcare management comes out of the box ready for business. Aimed at working professionals, it’s a workforce-ready program that immediately recognizes the key feature of an MBA healthcare concentration: the dual challenges of mastering both healthcare and business principles and bringing them together in an integrated picture of today’s American healthcare industry. It accomplishes this challenge by putting you through a full slate of modern courses in technology, ethics, economics, healthcare law, strategic planning, and practice management in as little as 30 months. Then all those facets of healthcare administration and business are tied together in an eight-week residency capstone course that engages you in a cumulative research project that emphasizes evidence-based practice in your specialization area. Effective communication and skill demonstration are honed during this polishing course, ensuring that you are ready to meet all the challenges of executive healthcare leadership positions after graduation. ULM has more than one healthcare-oriented concentration available in their highly-respected MBA program, which makes it tough to choose which is genuinely the best. The best part is that they are all in very different fields; whether you are in psychology, gerontology, or nursing, there is a solid MBA concentration that will deliver both an excellent general business knowledge education and a highly-focused, domain-specific sequence in your chosen specialty. The nursing health care concentration truly stands out from the pack in our view, though, with overlap into the gerontology concentration that is so important in many nursing roles today, as well as overviews of health care law and policy that will help put business practices and demands in perspective from the overall view of a complex market. Together with the coursework you’ll get in economic and accounting analysis, strategic management, and marketing, you’ll be well-positioned to advance as a manager or executive in nursing care as the industry booms in the coming years. Husson University’s MBA in Healthcare Management is a fully online, contemporary course of study that features the ideal blend of advanced study in traditional business concepts along with an in-depth examination of relevant topics in healthcare administration, including the legal environment, healthcare economics, global perspectives, and more. This program features an outstanding faculty of dedicated practitioners and plenty of peer and instructor support. Other reasons to put Husson’s MBA in Healthcare Management on the top of your list include: a superb value (it is ranked as the lowest-priced, four-year private university in Maine); an outstanding alumni network of more than 18,000; and fantastic career services that’ll help you make the most informed career decisions and guide you as you transition from student to MBA grad. With their executive MBA for physicians, Brandeis’ Heller School takes healthcare MBA studies to a whole new level. Aimed at practicing physicians who are seeking positions of management or leadership, this highly specialized program obviously isn’t for everyone. But it’s among the very best of its kind for the elite students who meet the stringent qualifications. The EMBA comes in a combination of online and on-campus attendance that delivers the sort of flexibility that busy professionals need when extending their education at this level. The instructors speak the language and understand the concerns of healthcare professionals. You’ll learn how to improve both clinical outcomes and financial results in a medical practice, the ultimate grail of any hospital or clinic. If you recognize the complexity of the American healthcare system, then you already understand that a regular MBA program doesn’t do it justice. Even an ordinary concentration, with three or four courses on top of the core business curriculum, can leave you with big gaps in your education because in healthcare, business just operates differently. But at Simmons, you don’t have to worry about that. Their dedicated HealthCareMBA@Simmons gives you a curriculum in which fully sixty percent of the core courses are specifically healthcare oriented… everything from economics to marketing gets a healthcare specific treatment instead of general theory. You’ll learn evidence-based strategies for medical decision making and how to improve communication across the specialty silos in healthcare organizations. You’ll walk away with a new perspective on technology acquisitions to boost treatment efficiency and outcomes. With the geographically diverse immersions element that puts you in multiple facilities across the country, you’ll build not only a well-informed perspective on regional approaches, but also build a strong network of contacts in the industry, anchored on your world-class faculty of experienced academic and professional instructors. The SBU MBA healthcare concentration is unique not only in that it is the only one that is offered by the university, but also in the fact that it is offered by a dual-mission department in the College of Business and Computer Science. That inevitably gives the degree a technological edge over other healthcare MBA concentrations. That’s an important factor in an industry that is increasingly technology-driven in the face of staffing, funding, and regulatory challenges. But the school’s deeply Christian, faith-based approach to building business leaders ensures that you’ll be thinking about more than just machines when it comes time to make the hard decisions. Courses in ethics and servant leadership help create well-rounded senior executives with both business acumen and compassion… exactly the combination that modern health care organizations are looking for. Franklin Pierce University’s MBA in Health Administration is designed to help adult learners like you develop the essential leadership and decision-making skills needed to manage the business side of any healthcare organization– and they do it all through a flexible program that’s delivered entirely online. In addition to a solid MBA core, you’ll explore relevant topics in health policy, healthcare payment systems, and quality improvement. Offered on a full- or part-time basis, the MBA in Health Administration at Franklin Pierce is designed to accommodate your current professional and personal commitments. And while you’ll learn from a distance, you’ll never feel disconnected, thanks to outstanding student services offered through the Franklin Pierce Career Center, which provides the support and guidance you’ll need to successfully navigate the MBA program, and your eventual transition into the healthcare field after graduation. As the first university in New Jersey to offer an MBA in an accelerated format, you know that Centenary University has its finger on the needs of today’s adult learner. Combine that with a fully online course delivery and its easy to see why this university made our list of the best of the best MBA programs. The MBA Accelerated in Health Administration features accelerated eight-week courses that allow you to easily manage your professional responsibilities while earning your MBA. But you’ll never need to sacrifice quality for convenience here, as this program’s curriculum is the same curriculum that the university’s on-campus students enjoy. Along with a solid MBA core, you’ll study contemporary issues in healthcare, including health organizational design, behavior, policy, and population health management. You’ll also love the outstanding support services here, which include a dedicated program advisor who is there to guide you and prepare you for success as you work toward your MBA. SUNY Empire State College is where healthcare professionals like you prepare to climb the career ladder. Whether you have a clinical or administrative background, SUNY’s 42-credit MBA in Healthcare Leadership is designed to enhance your analytical, leadership, and problem-solving skills – all in a fully online program. Just a few of the highlights of this progressive program include: a distinguished faculty that includes a former hospital executive, a former assistant NYS attorney general, and a physician within one of NYC’s largest healthcare systems…three executive retreats in NYC for the best in practical, hands-on learning…and the option of further specializing your MBA with a graduate certificate program. As a student here, you’ll also have full access to comprehensive career services and academic support. UMO’s objective in their healthcare management MBA program is to help you stand out from the crowd in a highly competitive industry. By equipping students with the knowledge and business skills necessary to compete at the highest levels of healthcare management, the program offers a way to either being or advance your career in a highly specialized industry. Every course is taught with a consideration of the special demands of the American healthcare system and its influences. From healthcare law and compliance to policy and strategic planning, you get a comprehensive perspective on the unique demands of American healthcare management from a very reasonably priced program. Lake Erie College is all about flexibility and its MBA programs reflect this commitment to the adult learner. 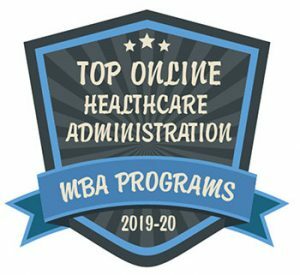 The Parker MBA – Health Care Administration, offered as a fully online program, as well as on-campus Accelerated (Saturday only) and Professional (evening program) programs, is sure to accommodate you, regardless of your professional and personal responsibilities and geographical limitations. Taking just two courses a semester, you’ll graduate in two years! This course of study is focused on leadership and managerial roles in the health care industry. You’ll study contemporary topics in health informatics, the application of business concepts in the healthcare industry, and legal and ethical issues. Choose the Online Professional Parker MBA and you’ll enjoy outstanding resources, including comprehensive career support services that includes a Pathways to Success colloquium featuring workshops, career curriculum, career services, and more. It doesn’t take too much time working in healthcare for most people to realize that it’s a unique type of business venture—one where lives are literally at stake, costs are high, and regulation and tradition are powerful constraints. To operate as a sustainable organization in that environment, whether for profit or as a non-profit, requires a special set of skills that you won’t find in just any MBA program. You will find them in the healthcare management concentration at Wright State, though. A cooperative effort with the Boonshoft School of Medicine, the concentration introduces students to health-specific business concepts alongside traditional measures of business acumen. This includes health resource management and policy, financial aspects of healthcare, and strategic leadership. You’ll graduate well-equipped to take on executive roles in the growing field of medical services and equipment. A program that is designed to give you everything you need to be a successful manager in the healthcare industry, the SNU MBA in Health Care challenges you to improve your competencies in communication, leadership, and critical thinking skills. You’ll be asked to demonstrate an in-depth understanding of current business and health care trends and, more importantly, how they influence one another. You’ll get a framework for understanding how strategic human resources planning works in a perpetually understaffed field, and learn how to use financial statement analysis and other quantitative techniques to solve the problems of health care organizations. With the strong ethical guidance that comes from a Nazarene program, you’ll be ready to take the helm of major healthcare initiatives at hospitals, clinics, insurers, or other major industry flagships. The Portland State Healthcare MBA stands out from every other option at the school. While other specializations are lumped in under the general MBA program, the healthcare MBA has its own title and format: it’s the only specialization that can be taken as a hybrid, with approximately 80 percent online and 20 percent classroom time. The school is serious about creating transformational leaders for a healthcare industry that is experiencing dramatic changes. Realistic skills and practice are the methods for shaping students into that mold. A team-based capstone project tops off the curriculum, putting you and your cohort onto a 20-week consulting project tackling a real-world problem for a healthcare business and performing an analysis and presentation using the skills you have built up over the course of earning your degree. Fully online and totally flexible, Waynesburg University’s MBA in Health Systems Administrator is designed for busy, working professionals like you who demand a robust program and a convenient, online format. Designed in two, eight-week sessions, with six sessions throughout the year, you’ll be able to complete this program in as little as a year. Or, take as little as one class at a time and you’ll graduate in just two years. The 36-credit curriculum of the MBA in Health Systems Administrator features a comprehensive MBA core, along with an in-depth study of the U.S. healthcare system. Other reasons to put Waynesburg University at the top of your list for an MBA in health administration include: a 99% employment rate among graduates and ample opportunities to network with other working professionals in the Pittsburgh region. You might have noticed something unique about the MBA-HEM option at Francis Marion… it’s the only specialty concentration the school offers. In fact, it’s expert graduate instructors from the FMU department of nursing who lead the 12 credits of healthcare courses in this plan of study. That tells you right away that you’re looking at something special. With a focus that other types of MBA programs can’t match, the highly qualified instructors at Francis Marion can dive deep into the extraordinarily complex mixture of healthcare regulations and business practices that combine to form the modern American healthcare system. You’ll need every ounce of that preparation to deal with the dynamic and complicated healthcare landscape. SCSU offers advanced skills and fosters social awareness in all its MBA graduates, but the healthcare management program offers something a little extra. Required courses cover healthcare policy, law, and ethics, preparing students for the challenging and dynamic healthcare environment in America today. You’ll learn how to balance the constant concern of providing quality care with running a financially sustainable practice in a constantly-evolving regulatory and technology environment. Combined with the general business skills from your core classes, you’ll leave SCSU ready to manage just about anything you will encounter in the healthcare industry… and to manage it with care and sensitivity to both patients and employees. The Part-Time MBA – Healthcare at the University of Sioux Falls is where you’ll find the flexibility you need and the robust, innovative curriculum you demand to advance in the dynamic U.S. healthcare field. This 21-month, fully online program is designed for experienced professionals like you with clinical or business backgrounds. Along with a comprehensive MBA core, you’ll dive deep into all aspects of healthcare administration, focusing on areas like legal and regulatory issues in healthcare systems. Choose the Part-Time MBA – Healthcare and you’ll be part of a long history of academic excellence in a Christian-centered environment. Just a few of the highlights of the University of Sioux Falls include outstanding faculty engagement, a low, student-to-faculty ratio of just 14:1, and an impressive 98% placement rate among graduates. The FHU Healthcare Management MBA isn’t just a concentration—it’s a full-on, specialized MBA degree built around the complexity of the American healthcare system. With classes devoted to the fundamentals of healthcare administration, healthcare information systems, and operations management, you get a lot of industry-specific information on top of the typical legal, financial, and strategy courses that come with the core MBA. A broad overview of the U.S. healthcare system helps to orient you, and a course on total quality management in healthcare gives you the tools to put together a safe, effective, and profitable organizations structure when you get into an executive position in the industry. An internship experience offers a taste of what those positions are like to give you hands-on familiarity before you graduate. Your healthcare management concentration with the MTSU MBA will give you both a solid layer of understanding of the economics of the American healthcare industry and its unique management demands and a variety of options for specialization that you won’t find in other healthcare MBA concentrations. Electives available include broad-based courses looking at the national healthcare system as a whole as well as highly specialized courses in topics such as health care marketing and non-profit governance. All of these courses tie in closely with the general MBA fundamentals in accounting, economics, information systems, and supply chain management that any manager in any industry needs to be successful. Southern Adventist University’s MBA in Healthcare Administration is designed to position adult learners like you for career advancement, thanks to a comprehensive and innovative curriculum and a truly convenient online course delivery. In addition to a robust MBA core, you’ll explore a wide array of relevant topics in healthcare administration through courses such as healthcare policy, research, operations management, and finance. As a student here, you’ll enjoy an engaging faculty of professors with industry experience, a flexible curriculum that allows you to complete the program on a full- or part-time basis, and a student-to-faculty ratio of just 14:1 for the best in personalized learning. Thirty-six credits, an MBA curriculum that includes a blend of core business concepts, leadership, and organizational development, and a fully online curriculum that features case study analysis, practical projects, and valuable collaboration with your peers are just the beginning of what the Concordia University MBA has to offer. Just a few of the perks of earning the Concordia MBA in Health Care Administration include a focused curriculum, an accelerated course of study that features eight-week courses that allow you to graduate in as little as two years, and 24/7 technical support. You’ll enjoy a comprehensive MBA core, along with advanced study in contemporary health administration topics like Healthcare Strategy and Business Planning, Ethical and Legal issues in Healthcare Management, Policy Trends, and more. Pursue your MBA here and you’ll enjoy access to the university’s Student Success Center, which is staffed with success coaches who are there to provide you with support and guidance along the way. Lamar’s College of Business has a wide array of unique and interesting concentrations available, but one of the most important specializations they offer is in healthcare administration. Closely monitoring the key trends of aging population, decreasing provider numbers, and unpredictable healthcare reform efforts, the school understands that today’s healthcare executives have to be more prepared than ever to deal with uncertainty and unexpected developments in order to keep providing top-flight medical services for the richest nation in the world. You’ll get a window into healthcare economics, policy and finance, and healthcare information systems through the course of your MBA work at Lamar. You’ll also have two key courses to help you plan and direct healthcare operations using the insights and metrics that those foundational classes give you. Not only is healthcare the fastest growing field for employment in the U.S., it’s also one of the most complex. A big jump in the number of new staff means a big opportunity for promotions and new executives in the field, which is exactly where Our Lady of the Lake’s Healthcare Management MBA specialization comes in. With an array of courses specific to healthcare law and ethics, finance, and management, you get the tools that you need to cope in the fast-changing healthcare industry. Additional specialization courses give you a theoretical and practical background on planning and policy and dealing with the broadening aspects of the managed care environment in American healthcare. It’s true that health care is a business like any other type of business, with roots in finance and accounting, management and human resources. All those cylinders have to fire to make the average hospital or clinical practice into a sustainable enterprise, and you learn all those basic elements as part of the core MBA program at UTRGV. But the school recognizes that health care is also far more than just the business basics, and the health care concentration at the school doesn’t restrict you to two or three elective choices to try to get you up to speed. Instead, you select from a menu of highly specialized courses in everything from health care accounting to health information systems to human resource management in health care… all the unique and specialized aspects of medical practice that make it a different kind of business altogether. If you’re looking for an advanced business degree aimed at the healthcare industry, look no further than Viterbo’s MBA in Health Care Leadership. This program is offered entirely online, with the exception of two, on-campus intensives. Your on-campus visits are time well spent, giving you opportunities to connect with instructors and peers and develop valuable working relationships that could last your entire career. Viterbo University’s College of Business and Leadership has a long legacy of producing informed, ethical, and effective leaders, and its online MBA in Health Care Leadership is no exception. You’ll be welcomed into the program regardless of your undergraduate major and professional background. If you’re a non-business undergrad major, you’ll be able to get up to speed by taking a three-credit Foundations in Business course. Even as an online program, Viterbo’s cohort format encourages and promotes meaningful collaboration and communication between students and instructors. It may be coincidence that a college with an unusual name also has an unusual commitment to innovation and flexibility in graduate studies, but that’s exactly the combination you get at Cardinal Stritch. In an MBA program already structured around high-quality instructors with real-world experience, the healthcare management concentration adds specialized expertise in healthcare specific courses on information management, human resources, and economics. The theoretical constructs you learn in those classes will be applied to case studies examining their application to current and classic issues experienced throughout the healthcare industry. Concordia University’s MBA – Health Care Administration is 39 credits of robust and comprehensive study in business and healthcare that can be completed entirely online in just two years. As a student of this program, you’ll enjoy manageable, eight-week courses that are designed to best accommodate your busy schedule, and you’ll be taught by industry experts through convenient and flexible distance-based study. You’ll also study alongside like-minded peers while you receive excellent advising from a dedicated staff committed to your success. Want to add a global element to your MBA? Consider one of the university’s outstanding study abroad experiences to China or Austria. Concordia University is committed to its online students, which is why you’ll enjoy access to a dedicated Online Student Advisor, designed to be your ‘go-to’ person throughout the program. A lot of schools offer an MBA in the United States—more than 1,000—and many of those offer a concentration in healthcare management. But the Edgewood MBA is special… their sole MBA focus area is healthcare. In coordination with the Henry Predolin School of Nursing, students are offered a deep dive into actual current practices in the business of healthcare, a unique and highly specialized area that demands expert instruction and a unique curriculum. You’ll get both at Edgewood, ensured by active supervision from local and regional healthcare executives servicing on the Executive Advisory Council for the program. Whether you are bound for the insurance industry or a high-level management position in a hospital group, you’ll find courses in the Health Systems Leadership MBA at Edgewood that will have you fully prepared by the time you graduate.